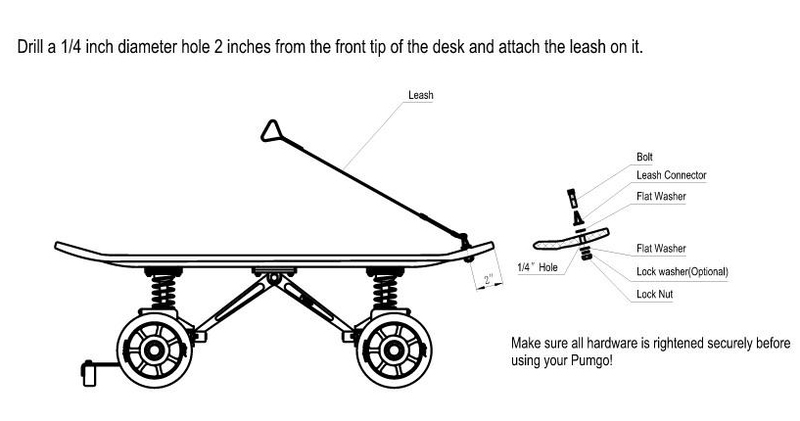 Pumgo Skateboard - Just Pump and Go. Check out the PUMGO Skateboard on CBS News (video). Jump on the world's first land surfer and never skate the same way again. 1. 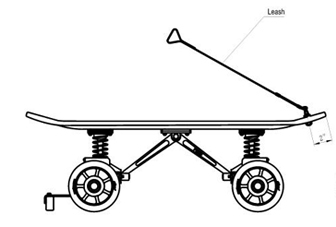 Looks like a skateboard, but is gear-driven like a car – without batteries or a motor. 2. Rider shifts weight from the front of the board to the rear and then from rear to front, repeat this simple back-and-forth pumping action generating the deck’s seesaw movement to propel the board forward. 3. Patented 4WD and unique all-wheel steering system give you total control. 4. USA and UK safety- and quality-approved for safe, sure riding. 5. One way clutch drive and free wheel mechanism attached to underside of deck gives forward-only motion to the wheels. 6. Solid construction built like a jeep. 7. Semifinalist, "2004 Product of the Year," Sporting Goods Manufacturer's Association. 8. No assembly required – hop on and have fun. 9. One year satisfactory guarantee. Kids who try it just can’t seem to get enough!